'N° 1 World Luxury Destination of the Year' is how New York Times readers described Phuket in 2009. So it’s not surprising that Phuket property’s a great buy, whether as a pure investment, a holiday/second home with a healthy ROI – or your new home. 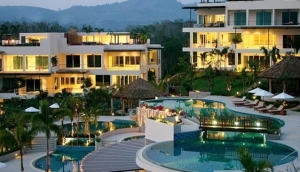 A tropical paradise with everything the holidaymaker wants – beaches, boats, restaurants, nightlife, golf, spas, Asian mystery and Thai charm – Phuket tops it all with a brilliant infrastructure that makes living here easy. Contact one of the real estate agents or just check out the condominiums, villas, luxury houses available.